As I noted this past weekend, 2017 was a year for the record books. Not surprisingly, the strong advance fostered a surge in investor optimism which pushed allocations to equities to the second highest level on record. 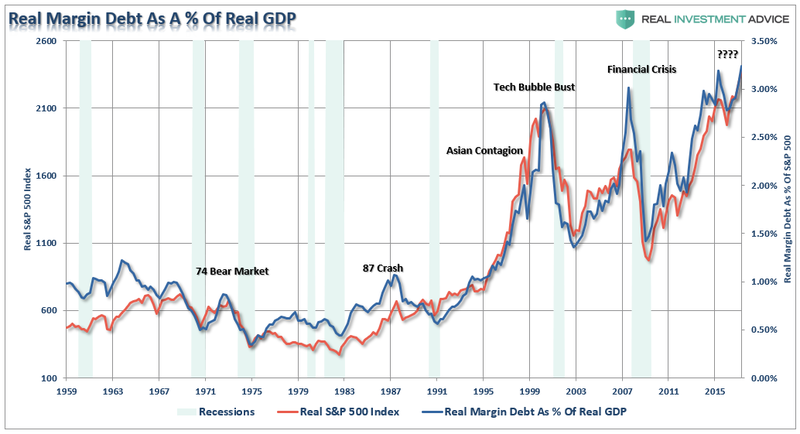 Importantly, don’t mistake record margin debt levels as people borrowing against their portfolio just to make larger investment bets. 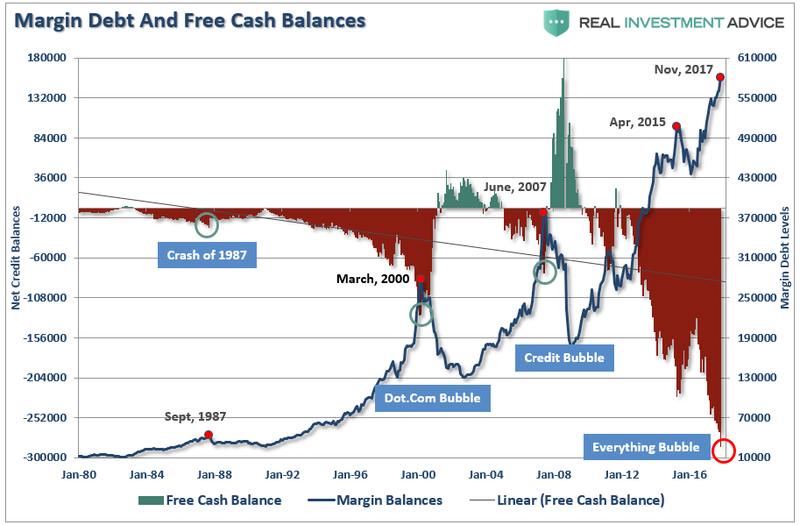 In reality, they are using leverage to support their lifestyle as well, after all, as long as stocks keep rising it’s like “free money.” Right? 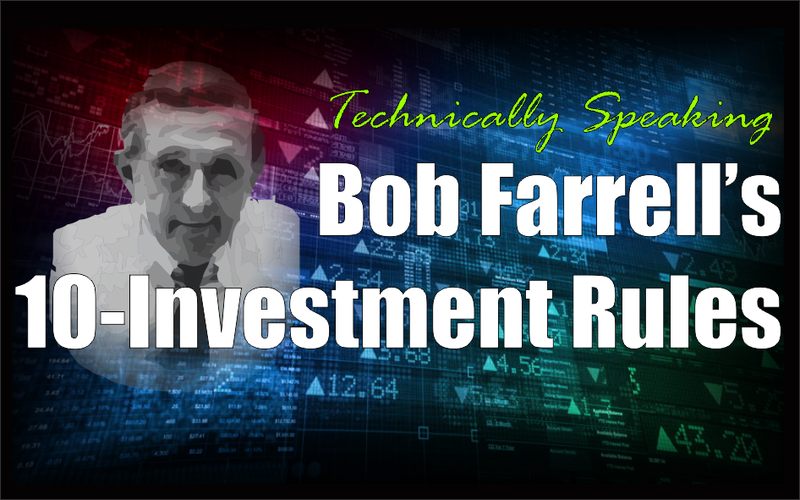 The current level of exuberance, and the willingness by individuals to shun risk for the hopes of chasing wealth brought to mind Bob Farrell’s 10-Investment Rules. I have penned these previously, but these rules should be a staple for any investor who has put their hard earned “savings” at risk in the market. 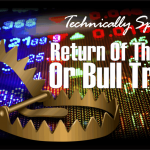 These rules, which are rarely heeded in the heat of bull market, are worth revisiting as we enter into 2018. Markets that overshoot on the upside will also overshoot on the downside, kind of like a pendulum. The further it swings to one side, the further it rebounds to the other side. This is the extension of Rule #1 as it applies to longer-term market cycles (cyclical markets). There will always be some “new thing” that elicits speculative interest. These “new things” throughout history, like the “Siren’s Song,” has led many investors to their demise. 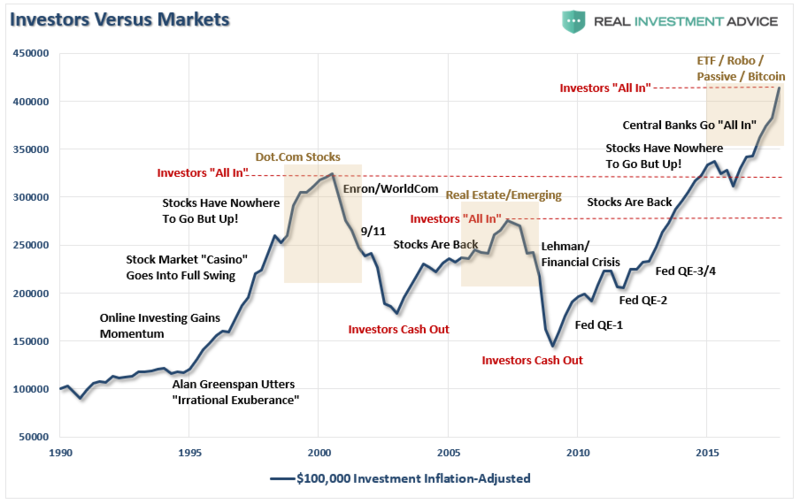 In fact, over the last 500 years, we have seen speculative bubbles involving everything from Tulip Bulbs to Railways, Real Estate to Technology, Emerging Markets (5 times) to Automobiles and Commodities. We will likely add “Bitcoin” to this list in the not-so-distant future? 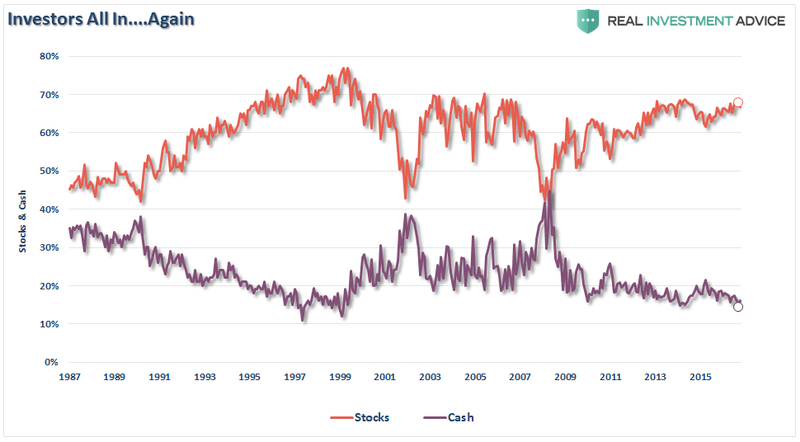 The chart shows the ratio of bearish funds to bullish funds as compared to the volatility index (VIX) and the ratio of bullish to bearish assets. Rarely have such extremes previously been seen. 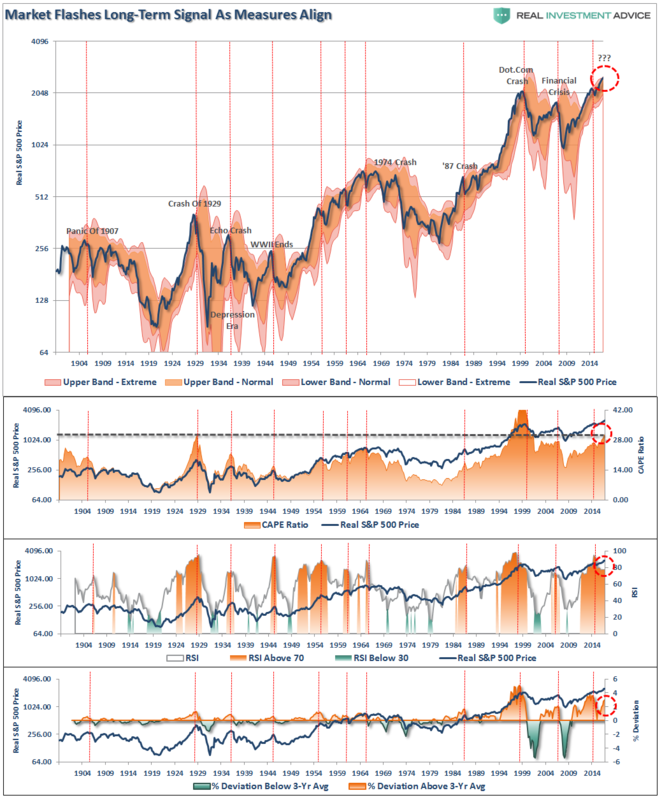 The chart above shows the ARMS Index which is a volume-based indicator that determines market strength and breadth by analyzing the relationship between advancing and declining issues and their respective volume. It is normally used as a short-term trading measure of market strength. However, for longer-term periods the chart shows a weekly index smoothed with a 34-week average. Spikes in the index has generally coincided with near-term market peaks. Bear markets often start with a sharp and swift decline. After this decline, there is an oversold bounce that retraces a portion of that decline. The longer-term decline then continues, at a slower and more grinding pace, as the fundamentals deteriorate. 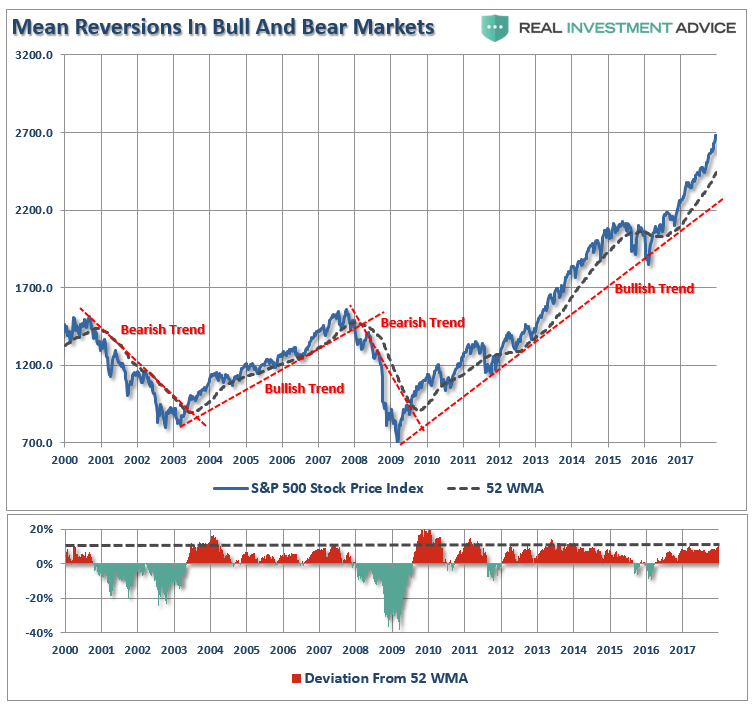 Dow Theory suggests that bear markets consist of three down legs with reflexive rebounds in between. Currently, everyone on Wall Street is optimistic 2018 will turn in another positive year making it the longest streak in history of positive return years for the market. Individuals are long term investors only as long as the markets are rising. Despite endless warnings, repeated suggestions and outright recommendations; getting investors to sell, take profits and manage your portfolio risks is nearly a lost cause as long as the markets are rising. Unfortunately, by the time the fear, desperation, or panic stages are reached, it is far too late to act and I will only be able to say that I warned you.